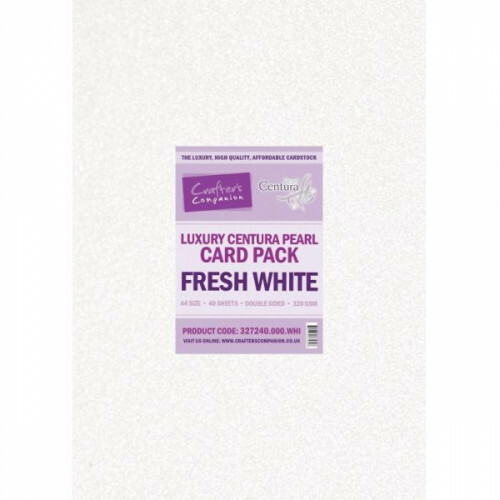 This beautiful, luxury card pack contains 20 sheets of A3 double sided Fresh White Luxury Centura Pearl card. It's suitable for use with Inkjet and laser printers and provides a stunning base to print onto. The card can be adapted to suit any card occasion and, at 320gsm and A3 size, is especially useful for larger projects such as boxes and enveloboxes. The card is acid and lignin free. 20 sheets of A3 Fresh White Luxury Centura Pearl Double Sided card. Suitable for use with most home Inkjet & laser printers.